an algorithm is developed that solves the direct problem of seismic in the framework of effective boundaries theory. This algorithm is illustrated with vibroseis survey modeling for a specific geological section. 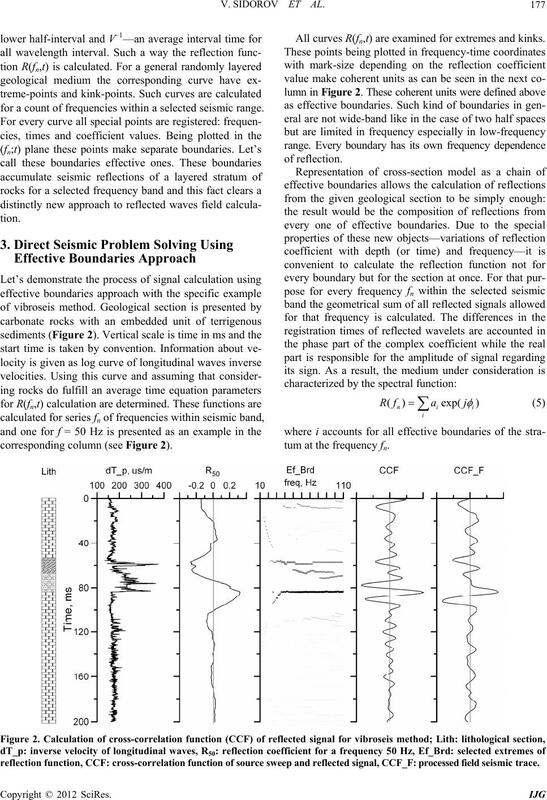 an algorithm for solving the direct seismic problem. ponents of the porous medium . turated media with the average time equation fulfilled. 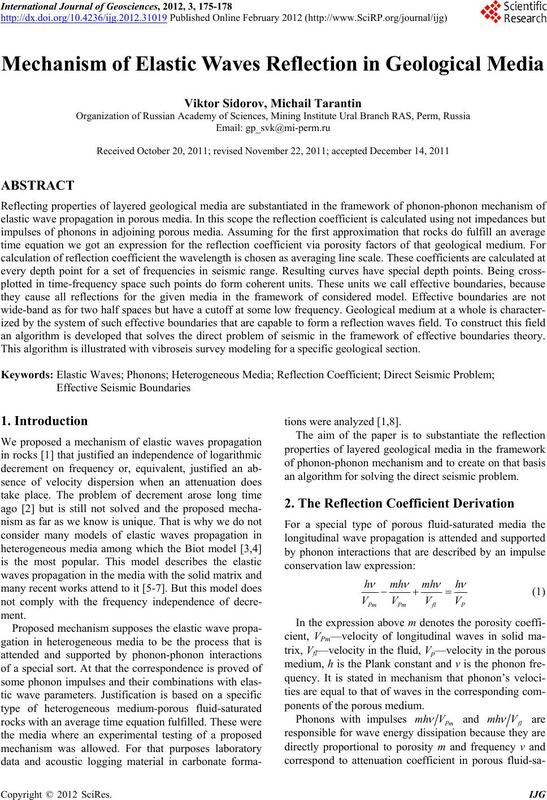 the reflection properties of a layered geological media. 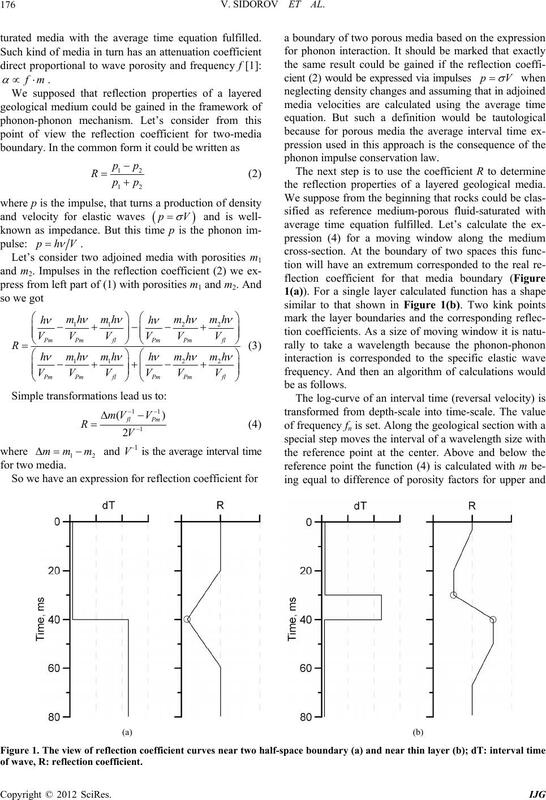 of wave, R: reflection coefficient. for a count of frequencies within a selected seismic range. corresponding c ol umn (see Figure 2). All curves R(fn,t) are examined for extremes and kinks. tum at the frequency fn. reflection function, CCF: cross-correlation function of source sweep and reflected signal, CCF_F: pro ce s sed f iel d seismic trace. modeling so some methods of regularization are involved. sense is more stable from the start. Methods, Academic Press, New York, 1965, pp. 287-324. Vol. 28, No. 2, 1956, pp. 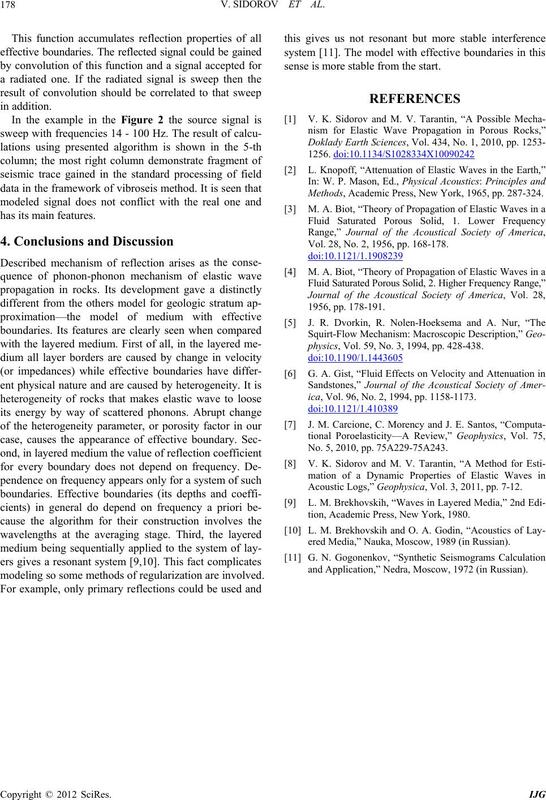 168-178.
physics, Vol. 59, No. 3, 1994, pp. 428-438.
ica, Vol. 96, No. 2, 1994, pp. 1158-1173. No. 5, 2010, pp. 75A229-75A243. Acoustic Logs,” Geophysica, Vol. 3, 2011, pp. 7-12.
tion, Academic Press, New York, 1980.
ered Media,” Nauka, Moscow, 1989 (in Russian). and Application,” Nedra, Moscow, 1972 (in Russian).